The #ForestGarden tour went really well yesterday, Martin Hayes, orchardist to the stars abd The People’s Orchard, came along as well and offered plenty of valuable insights. 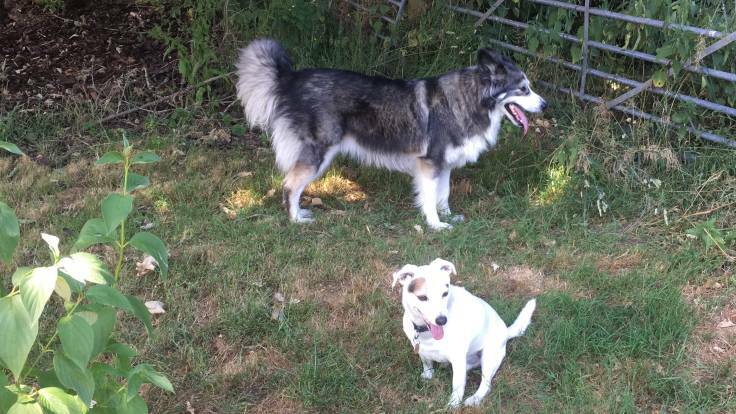 Ronnie Barker, @ForestGdnDog, made a new friend, an Alaskan husky (malamout?) collie cross called Shap. Tickets already selling well for Saturday August 4th tour, only 8 tickets left! !